Safety is our primary concern and we take our role in this seriously. All of our projects are planned and implemented with safety in mind. We are continually working to promote the highest standards of professionalism and safe working practices. The chief statutory instrument regulating H&S before and during a project is the CDM (Construction, Design and Management) Regulations 2007 (CDM 2007). The aim of this regulation is to improve safety during Construction (Building, Civil Engineering or Engineering) and manage risk. Virtually all engineering construction projects come under the scope of the CDM regulations (the key exception is a domestic client). Enterprise Tondelli are a company well resourced to handle projects under these regulations. When the project is solely supplied by us, then we will likely serve as Principal Contractor. When part of a larger project which may include civil works we will likely act as Contractor and Designer. As such we provide detailed method statements and risk assessments and other welfare and safety information prior to the installation. produce the construction phase health and safety plan to ensure that work is carried out safely. The complete project is planned, managed and monitored in accord with CDM 2007. For a successful and safe project we believe in good communication with the CDM Co-ordinator through frequent site meetings. 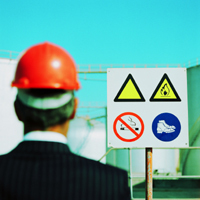 All documentation is provided to the CDM Co-ordinator for the Health and Safety file. We provide comprehensive Health and Safety documentation on completion of all projects, detailing all electrical, mechanical, construction and operational aspects of the project.